Blue Susan makes: Zipper success! We're well into November already...I think it's time for an update. I'm sewing the cutest little toy tote bags for the upcoming craft fair right now. I'm in love with them. Alas, no pictures yet. But I will show you another little bag I made last week. I snapped these pics the night I finished making it just before packing it up for the morning farmer's market. Good thing I took pictures too, because it sold that next day and I would have missed my chance. A little sling bag with rouching down the middle. 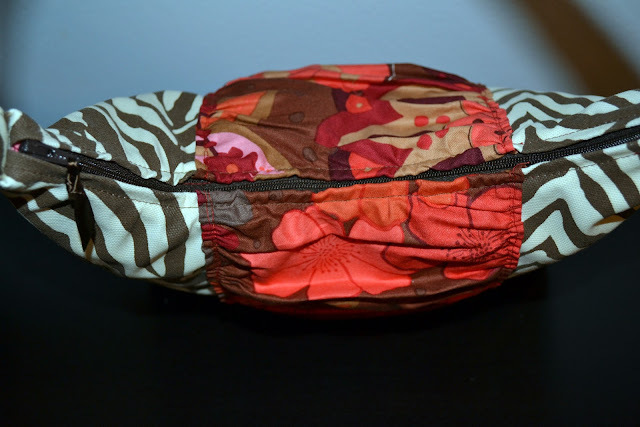 I finally figured out another way to put a zipper closure in the top. I think I've said before that zipper closures on the top of bags totally intimidate me. But everybody loves to have a zipper in the top of their bag and always asks if I can make them that way and I like a good challenge so I press on! I've put a zipper in a purse before Here and Here, but this way is different and might be less complicated. I just had to figure out how to insert the handle and adjust the pattern for it. I dream of someday doing a series of tutorials that would let you build your own handbag...wouldn't that be fun? Unfortunately not this year. 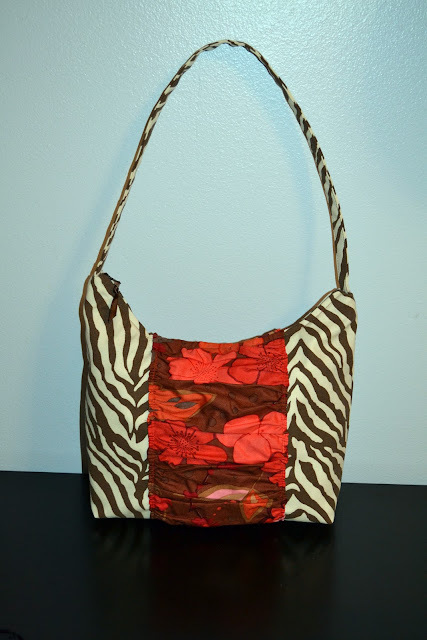 I've made a little wristlet to match this bag that I'll post pictures of soon...along with the little toy totes. Did I mention that they are totally cute? I must sleep now, it is way past my bedtime. I love this type of closure. (Not recessed) I've done it a couple times but still need to "perfect" it.